Hardware included designed for full-sized boards. You'll likely need to swap to longer standoffs for your camera to sit above a 20x20mm stack. Haven't tested this with the smaller cams, as the winglets are designed for standard cameras. I've been told that the adapter brackets for those cameras (like the runcam split) work just fine, but I haven't confirmed this for myself. 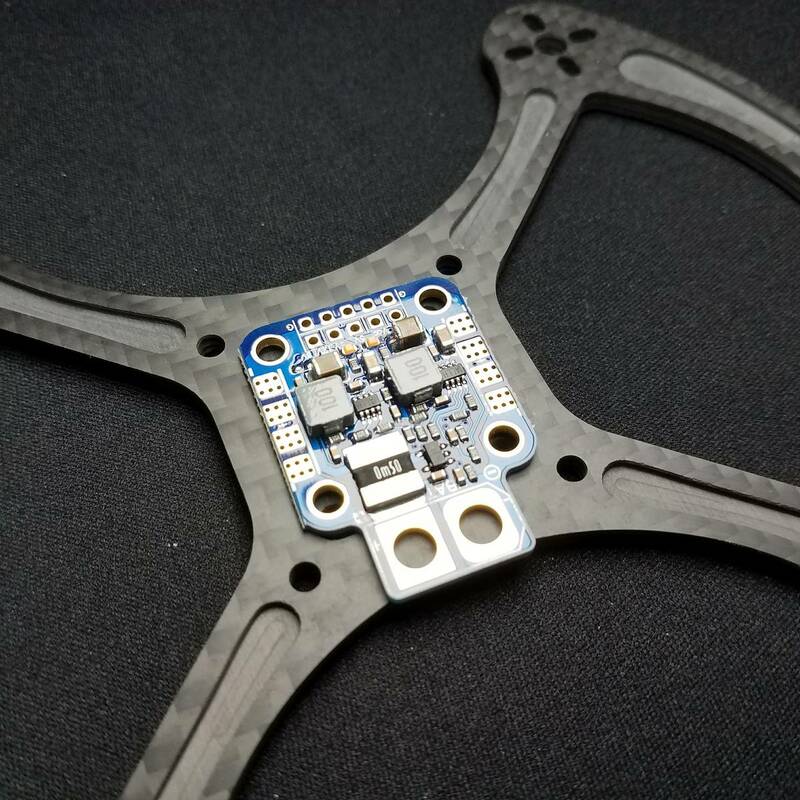 Please ensure that if you use a 20x20 4n1 ESC or FC that the corners of the board will fit within 30x30 standoffs. There are a couple of boards that have plugs on the corners and will not work on this frame. Frame rotates to put the guards on the sides or front/back. Motor layout is symmetrical, so much like a classic Goosebumps novel, you're free to choose your own adventure! 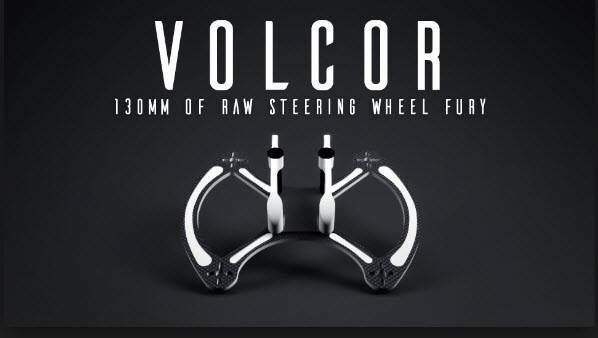 Le Volcor. Initially inspired by the little-known Yawpacolypse, this frame exists for one reason and one reason only: to look radical. Everyone is trying all these different things like designing slammed builds and low riders, stretched X's and pods, and they all claim to fly _better_ than the next guy. Here in Central Indiana, however, it's all about the looks. 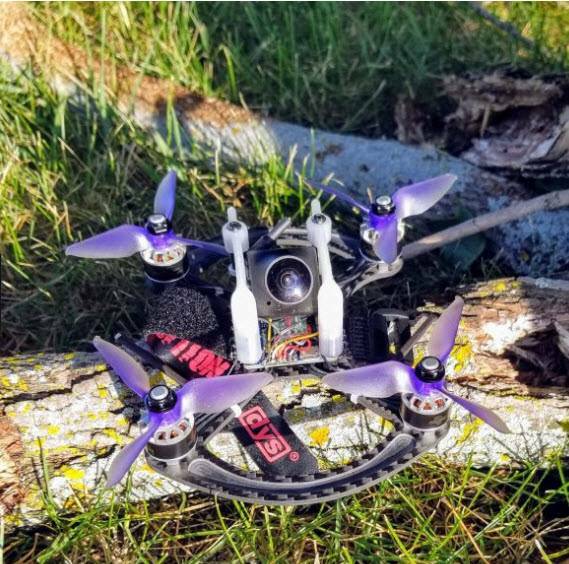 The pockets complimenting the curve of the frame not only shave a few grams off this sturdy 3mm CF plate, but they allow you to flood themselves with your favorite color paint and really set your little rig apart from the rest of the quads on that starting line. We know a TrueX frame flies just as the good Lord intended it to, so let's focus on the aesthetics. 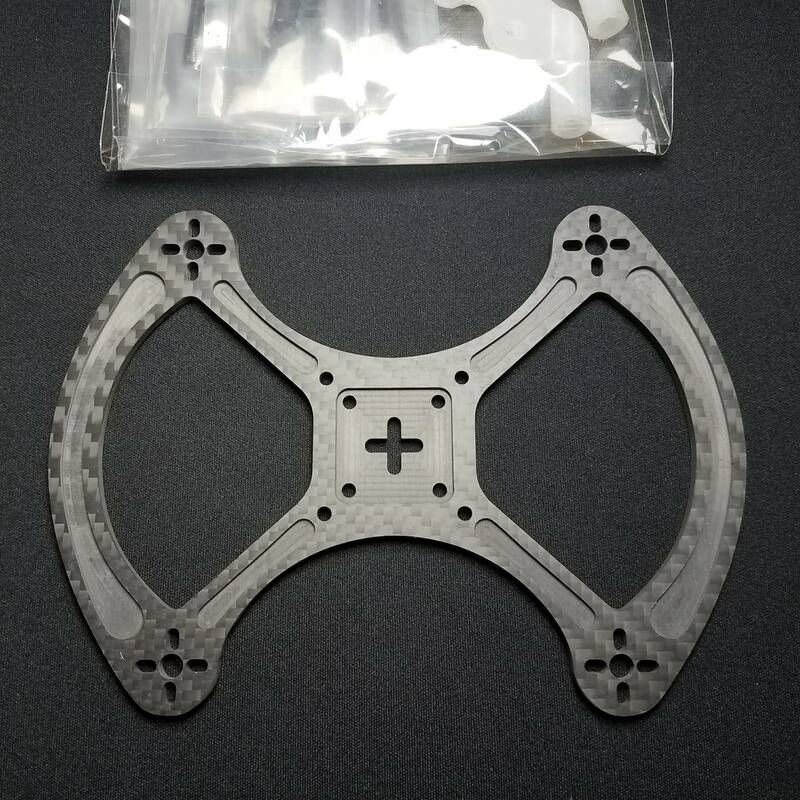 I designed this frame back in Sept 2016 and a good buddy of mine, TheWizard, was kind enough to cut me prototype bottom plate. For the longest time I hadn't the slightest idea what I wanted to do about an FPV cam solution. People kept yelling "DESIGN A POD! SUPPORT FULL SIZED HS1177'S! SCREW MICRO-CAMS!" I'm not really one for pods; they're just not my style. I also wanted to do something a little bit different than the old antiquated fpv cam standoff pod shrike-like mounting where you create a 35mm standoff cage. Enter the winglets. These little 3D printed winglets are the perfect solution to mounting your camera without adding a big gaudy pod or requiring a top plate from which to hang the the oh-so-fantastic HS1177 bracket. They fit over some structural standoffs creating a hexagonal standoff skeleton you'll be hard pressed to bend up. 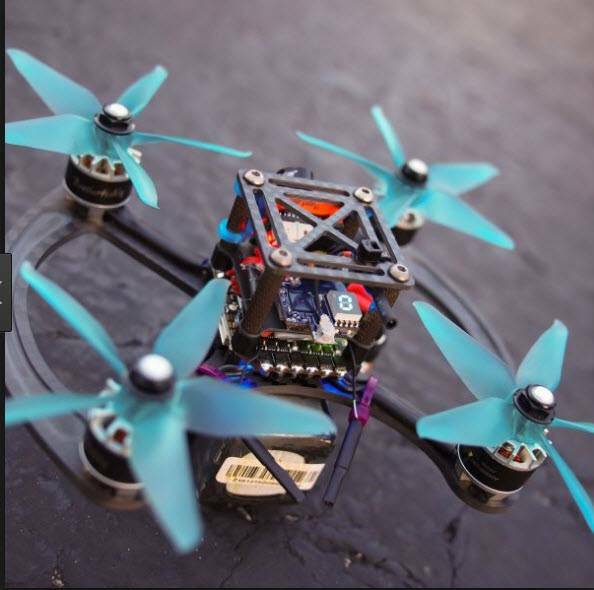 Things have been a bit slammed over here, what with the MultiGP season quickly coming to an end, but I eventually plan to design a set of winglets that provide a more narrow space between, on which to mount a Runcam Micro/Mini/equivalent. That may not happen for a while, so if you're planning to rock one of those cameras I recommend using the included adapter bracket to fit it to size.